Our goal is to provide you with quality workmanship and immediate value. We hold our materials and workmanship the highest standards in order to achieve an excellence in craftsmanship that will endure the test of time. 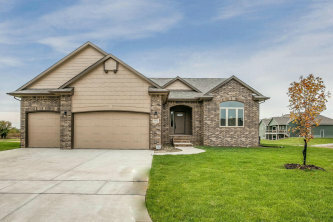 Vision Homes brings together many years of combined experience, skills and knowledge from three very skilled individuals from Wichita and the surrounding areas. Ann Allaire first started with Jay Russell Companies over 29 years ago. And later took a position with Randy Dean Construction, where she learned all facets of the building industry, and banked a wealth of industry knowledge. Ann currently holds a position on the WABA board. Tony Brand is a plumber by trade and brings to Vision Homes the knowledge of more than 34 years of experience in the residential and commercial building. Shawn Ketzner started his framing company in 1992 providing supportive ideas about how to provide a better, stronger home. As a team, we offer what many Builders cannot; on-site control and experience throughout each stage of the construction process. As members of the Wichita Area Builders Association, we display excellence in customer services, integrity and quality of construction. Call us today at 316-308-6670 or email us to make the vision of your new home a reality.